“What’s one thing you can’t live without?” Some might mention their phone, game console, favorite drink, and whatnot. I, on the other hand, will answer my trusty watch without a doubt. I consider putting on my wristwatch as part of my everyday routine. My watch has been with me for the longest time. The moment I realized the importance of time, I never let go of it. Unfortunately, all good things come to an end and I think I’m about to bid goodbye to my watch any time soon. It is a must to have a wrist companion that will last a long time and can endure the roughest conditions. Sometimes, your best option for this is to follow this guide and go for the best military watch. Hikers and wanderers, arise! Casio’s PAG241-1CR Pathfinder has all the features that make a perfect adventure companion. With its dual-layer LCD, it has a large register ring to back up its rotating mechanism that stores direction memories. The PAG241-1CR Pathfinder also has an uneven surface design to rotate the ring easily with your fingers. You can also automatically switch on its light senses with just a tilt of your wrist. As you go through changing weather conditions and calamities, the built-in altimeter, barometer, and thermometer are a great help. Even with all these power-consuming functions, this one serves its purpose with its solar-powered battery-recharging system. I think the highlight of this watch is its Bearing Memory feature. With this function, it continuously displays the directions that it detects in a graphic format. The watch then memorizes these directions so you can easily follow the course from your previous trip. This feature also comes in handy when you are in an area where there’s low visibility due to fog or trees. As they say, “Not all who wander are lost.” Well, maybe, they have a Casio PAG240-1CR resting securely on their wrists. Going on your next journey feels incomplete without this heaven-sent watch. 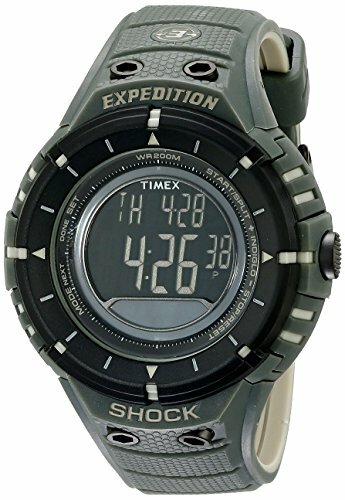 Start your next adventure with Timex T49612 Expedition Trail Series. It is certain that the Expedition is considered as one of the best service watches because of its genius features. This military watch is made to sit on your wrist comfortably. A durable nylon strap and a lightweight resin case hold it in place and make it sturdy. Furthermore, it has a heavy-duty buckle for tight fastening. Thanks to the watch’s quartz movement, its digital readout will always be accurate. Its water resistance is up to 200 meters or 550 feet, while its shock resistance is in compliance with the ISO standards. At a low price, the Expedition runs with 16 compass points. If that doesn’t mean major steal, then I don’t know what does. Tracking of maps and path-finding will be easy because of this excellent feature. Featuring Timex’s classic Indiglo night-light, using it without any source of light will not be a problem. 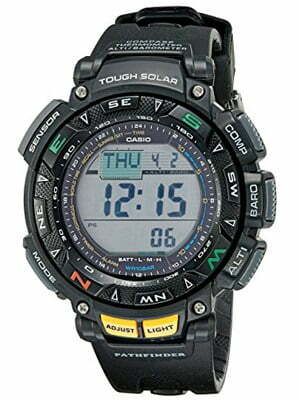 Casio’s GA100-1A1 is a fighter with its water resistance of 200 meters and strong magnetic resistance. Although it has an all-black appearance, its LED light feature with afterglow will make sure it is not a problem. 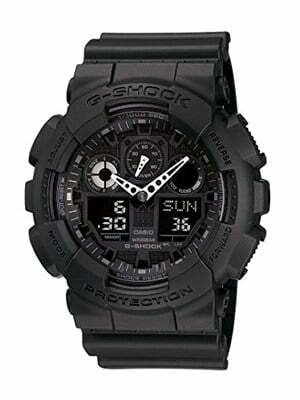 G-Shock is a line of watches manufactured by Casio, designed to resist mechanical shock and vibration. Its full form is Gravitational Shock. Shock Resistant. 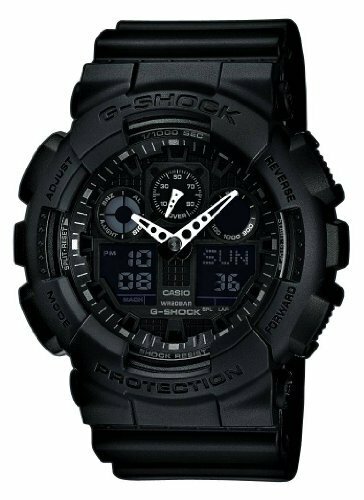 This famous G-Shock design comes with one analog dial in the center, with digital dials on each side. Its interface has dial rings and the raised hour markers give this watch a three-dimensional look. Equipped with auto-calendar that is pre-programmed until the year 2099, you will surely not miss a date—literally. Proving its excellency, the GA100-1A1 boasts its 1/1000-second stopwatch function with speed indicator. The 1/1000 second stopwatch has multiple measuring modes that include lap time, elapsed time, and split time. These features make measuring time very accurate. Along with this feature are the 29 time zones and world time swapping function. I applaud this watch for this function because it comes in handy, especially to the travel junkies. 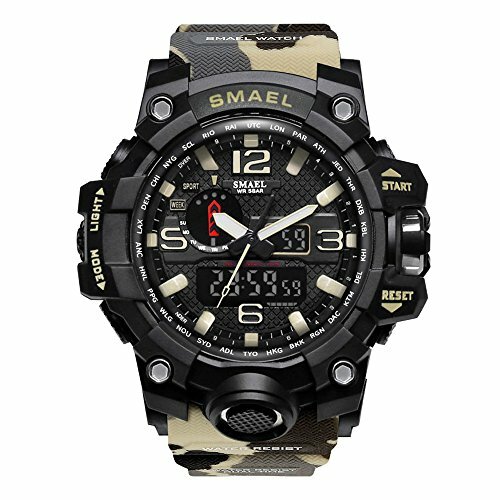 Another must-have in the 15 best military tactical watches for men list is the SMAEL Men's Sports Analog Quartz Watch. Aside from its impressive features, this watch provides comfort and style at the same time. The watchband is made of silicon rubber, which is the main reason why it is very cozy to wear both indoor and outdoor. SMAEL Men's Sports Analog Quartz Watch also boasts its dual dial two-time zone feature that allows it to display the time in two locations at once. It also has other functions such as the calendar, daily digital alarms, countdown timer, and stopwatch. Completed with shock and water resistance, SMAEL Men's Sports Analog Quartz Watch make a revolutionary military timepiece. It can withstand the effects of water down to at least 164 feet and the impact when dropped from a certain altitude. Moreover, the LED backlight functions also make SMAEL Men's Sports Analog Quartz Watch for all types of daily activities. Priced at around $15 in Amazon, it is available in 16 colors: black, army green, beige, black blue, blue-black, red black, army green-camo, black gold, black silver, blue-camo, grey-black, khaki-camo, orange black, orange-camo, red-camo, and black green. When you are planning to buy a military watch, never forget that SMAEL Men's Sports Analog Quartz Watch is one to consider. In addition to the G-Shock watch series, the Rangeman is loaded with a ton of features that will make it your must-have when it comes to extreme outdoor activities. The Rangeman can withstand even the toughest environmental conditions. It can also keep track of different readings such as altitude, barometric pressure, temperature, and directions. 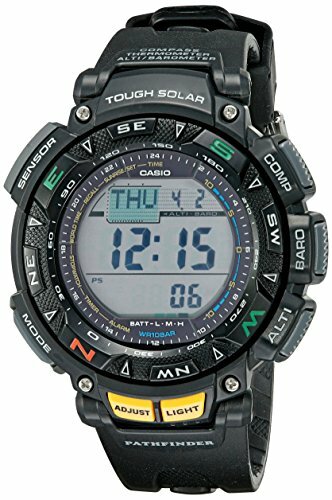 The design of this Casio watch keeps its functionality at your fingertips and make it as user-friendly as possible. This is what makes this watch one-of-a-kind. Its cylindrical buttons give an outstanding operation which is enough to resist impact. The sensor button covered with metal protects the watch from possible impacts and keeps foreign materials out. Each sensor node has a corresponding tone. So when you press it, you’ll know what mode you’re in without even looking at the screen. I can definitely say that this watch, although a military type, offers utter comfort. 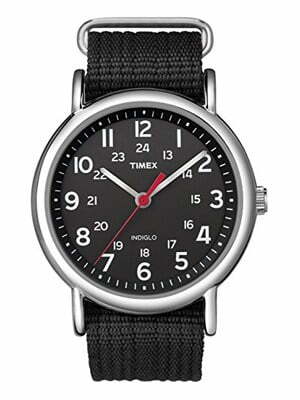 Your next best military timepiece could be the Timex Men's Expedition Field Chronograph Watch. 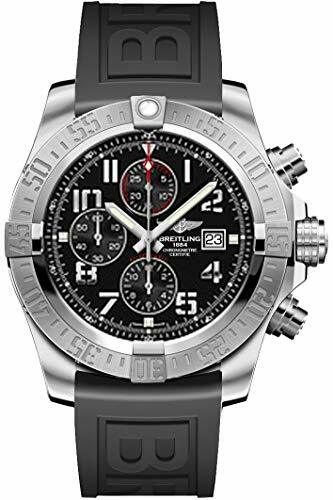 Aside from that fact that it is manufactured by one of the most trusted watch companies in the world, its genius features make this military watch deserve its spot in this article. 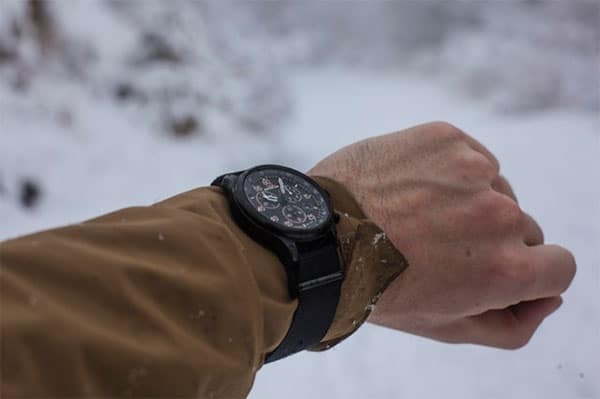 Despite its rugged style, Timex Men's Expedition Field Chronograph Watch promises excellent experience since it was created to survive the most difficult hiking trails while matching your corporate wardrobe. Btw I wrote a separate round-up about the best survival watches. The genuine leather straps do not only give physical ease as it also provides sophistication in your day-to-day activities. 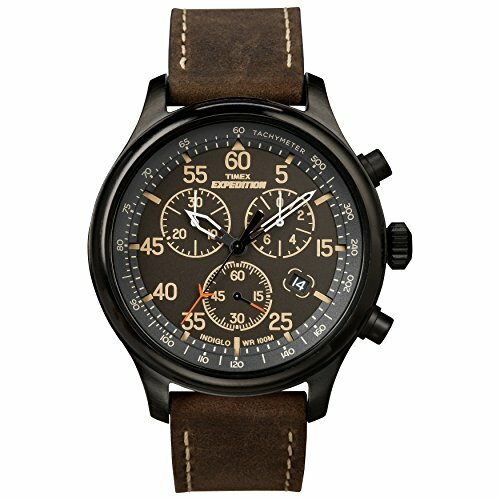 Timex Men's Expedition Field Chronograph is available in four colors: brown-black, beige-black, green-black and tan-black. Priced at around $53 in Amazon, this watch sports impressive features such as Indiglo night-light, an easy to operate date window and three sub-dials. 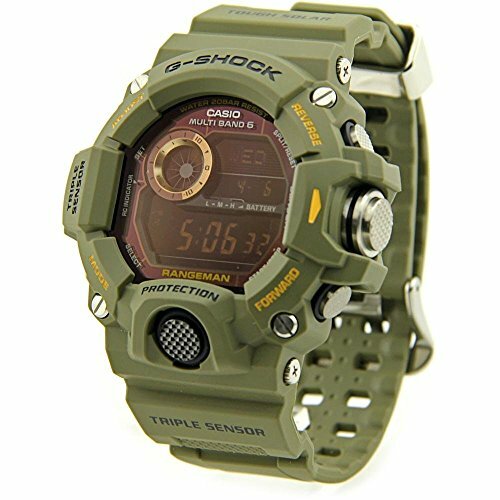 Its water resistance is up to 100 meters while its shock resistance is in compliance with the standards set by the ISO. 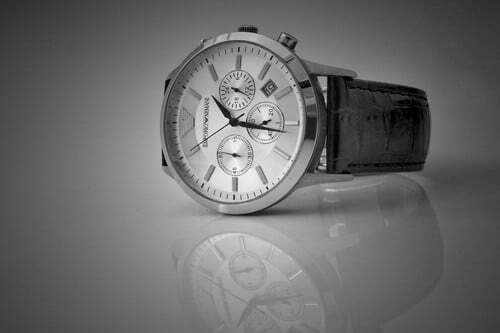 This timepiece proves its worth through its durable design. It is made of polyurethane case and matching durable polyurethane band which includes a buckle clasp. 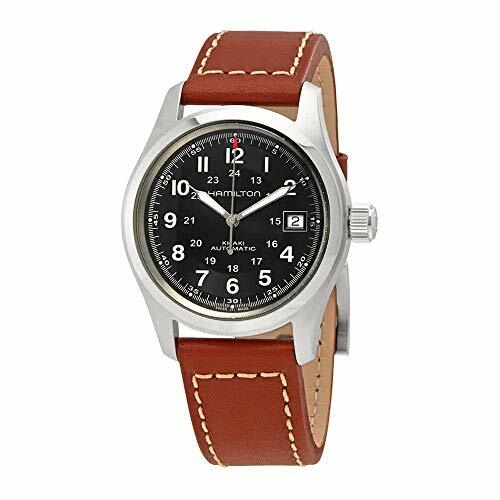 Highlighting an analog-quartz movement and a durable mineral dial window, the US Navy SEALS and the US Air Force Pilots highly recommend this tactical watch. 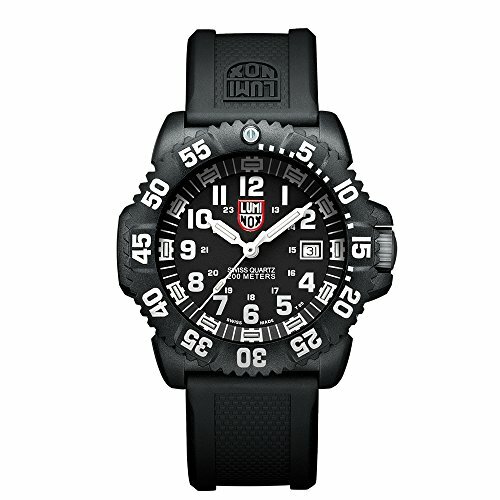 The Luminox Evo Navy Seal watch also holds off circumstances where there is low to zero light source. It glows brighter compared to other luminous watches available in any stores. This prominent feature makes every dark mission manageable with this watch on your wrist. On its pitch black dial are white contrasting markings. Moreover, you can see a handy calendar at it's three o’clock. The unidirectional textured bezel features highly visible minute indexes for easy readability. It is also water-resistant from a depth of 660 feet. As the name suggests, the Military Navigator is an excellent tool for the troops, especially for pilots and parachute missions. It showcases its functions made in accordance with MIL-PRF-46374G Type III, Class 1 US Government Specification. 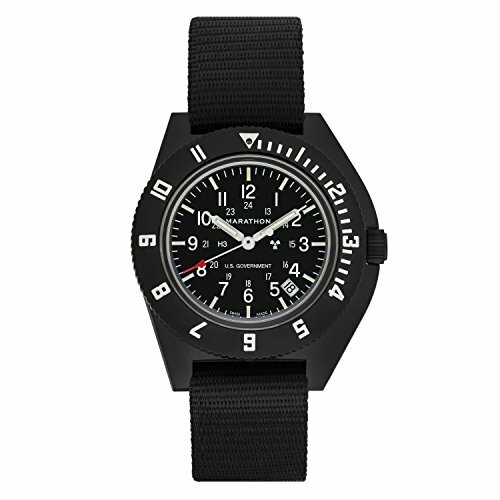 PILOT'S WATCH: Designed for pilots and paratroopers. Features a lightweight high impact fibreshell case and domed acrylic crystal. This watch weighs very light and will not disappoint you with its fiber-shell case. The case has a water resistance of 60 meters and is shock-resistant. This Military Navigator watch has special acrylic crystal engineered to highly resist rapid pressure changes. This is especially useful so that the case does not shatter easily. To ensure great quality and high accuracy, the Military Navigator Pilot’s quartz is made in La Chaux de Fonds, Switzerland. Fancy, right? With its high torque, 3 jewel ETA F06 quartz movement, this watch provides the most accurate timekeeping. The ETA F06 movement is accurate to -0.3/+0.5 seconds per day. It also includes an End of Life (EOL) indicator that will advance the second's hand once and every four seconds to notify you that you need to change the battery. For added information, the Military Navigator is issued and worn by troops in Iraq and Afghanistan. Coming to you with its reinforced polycarbonate bezel and case, this Luminox watch is one of the best tactical water resistant watches worthy of your attention. On its black dial are luminescent white and green hands and markers that will enhance reading visibility. It features three different hands. It also has a date display window at the three o’clock position, a raised scale, and a compass. Processing on a quartz movement, this watch has a water resistance of 200 meters. The unique feature this watch possesses is that it comes with a removable compass. 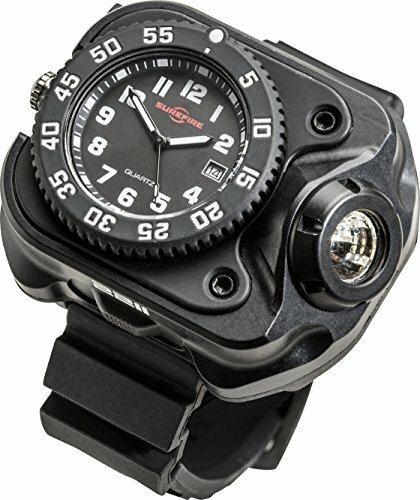 I think it’s necessary to have this option so the field watch you’ll wear will be lighter. This removable compass is originally placed on the watch’s polyurethane strap band. With defined luminous markings on the compass, it guides you accurately. Even in situations that don’t have enough light, you can consider this watch as a savior. It is possible to be loaded while still weighing just over two ounces with Suunto Core. Just like any military watch, it is packed with traditional functions like dual times, a date display, and an alarm. 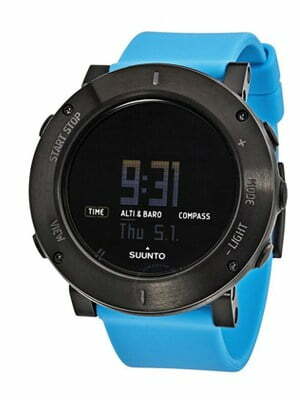 But of course, the Suunto Core will have its own outstanding features. It can predict the possible time for sunset and sunrise which can help you maximize daylight hours. In addition to its altimeter and barometer, it has a depth meter that gives an accurate water depth reading up to 30 feet. Plus, it can function in English, German, French, and Spanish languages. Who knew watches could be multilingual? Here comes the best part. You can go on days without your local weather forecaster because this watch will keep you updated. While you’re out on a hike or having a camp, Suunto Core will be responsible for your weather updates. The Storm Alarm can sense approaching storm despite the sky looking bright. A rapid drop in air pressure over a three-hour period can activate it. Once its senses changes, the Alarm Storm will sound and flash, notifying you that unpleasant weather is fast approaching. Furthermore, you can have bonus features like the digital thermometer, a weather trend indicator, and a digital compass. With these qualities, you have a tremendous companion for all your outdoor events. 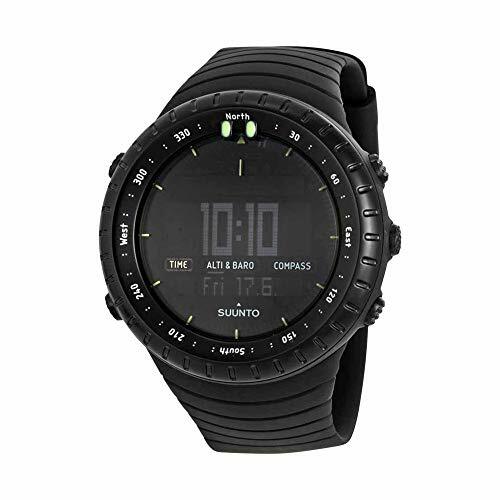 The Garmin Tactix tries to be in parallel with its competitors with its highly sensitive GPS with automatic calibrating altimeter, barometer, and 3-axis compass. It makes it seem like backpacking, training, and other outdoor activities are just walks in the park. The physical features of this watch can tolerate shocks with a mineral glass lens to resist scratching. With a large LCD display and a LED backlight and a robust polyurethane wristband, this watch is water-resistant to 50 meters. Moreover, the U.S. Tides feature and Jump-master mode are invaluable to amphibious and airborne operations. It may seem like this watch has it all, but let me discuss more of its other features. With Tactix, you can make routes, and record up to a thousand way-points and keep track of GPS trails on the move. This makes navigation to a certain coordinate, route or toward way-points you recorded so much easier. Additionally, Tactix has a feature that guides you back to your previously recorded tracklog, called TracBack. This way, you’ll have a smooth journey toward your way to your training course, campsite, or back to your parked vehicle. 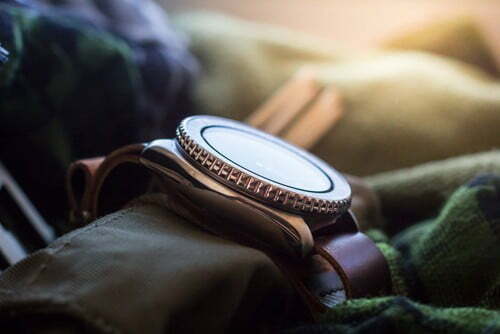 At first glance, the Khaki Field might look like your typical office watch. However, it won't take a spot in this round-up just for nothing. True to Hamilton’s military heritage, the Khaki Field is built to last with its reliable and high-quality materials. Consisting of stainless steel case, three hand display, dark dial with light and luminescent numerals, a durable NATO strap binds it. The watch has a water resistance of 100 meters which is suitable for swimming and snorkeling. 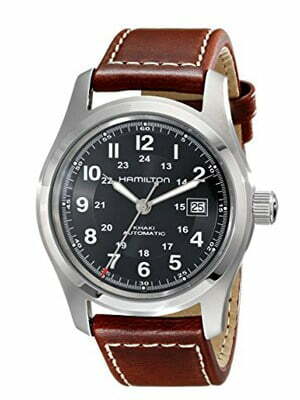 Recalling Hamilton’s great hand-wound military watches, the design of this sturdy watch is just exquisite. What I like most about this field watch is, despite it being one, its style does not fall short on elegance and class. The watch reads “Hamilton” with simple 12- and 24-hour scales, luminous hands and markers, and a font recalling vintage military watches. It is very evident on its large crown that pronounces knurling for easy manipulation just screams functionality. The Luminox SureFire is made for the life outdoors. Sitting securely on your wrist, its white-on-black design is constructed of very light hard-anodized aerospace aluminum. The adjustable nylon band that is durable enough to hold its own little tactical LED handgun light in place complements it. Running on a Swiss quartz movement, this watch is sure to deliver accurate readings. The watch utilizes a virtually indestructible LED and optic. You can activate its brilliant 200-lumen beam just with a press of either two button-type switches. The SureFire comes with a USB cable that you can use to recharge the lithium-ion battery. Through its built-in LED fuel gauge, you are alerted when to recharge it. Nowadays, it’s necessary for a product to be convenient and an asset to be on-the-go along with its functionality. That’s why I think these features are the watch’s cherry on top. Are you planning to go to a new adventure? Start it with SMAEL Men’s Military Analog Digital Watch. This steal is perfect for both indoor and outdoor activities such as fishing, climbing, swimming, trekking, running and more. This watch made it to the top 15 army watches for 2019 list due to its multifunctionality. Among its exemplary functions include auto calendar, daily digital alarms, stopwatch, and countdown timer. Its shock and water resistance also makes it very suitable for individuals who seek thrill and adventure. As for its aesthetics, the SMAEL Men's Military Analog Digital Watch dons a fashionable sporty design. It has a large dial face, numbers with lights that display time even in the dark, and a military-style outlook. 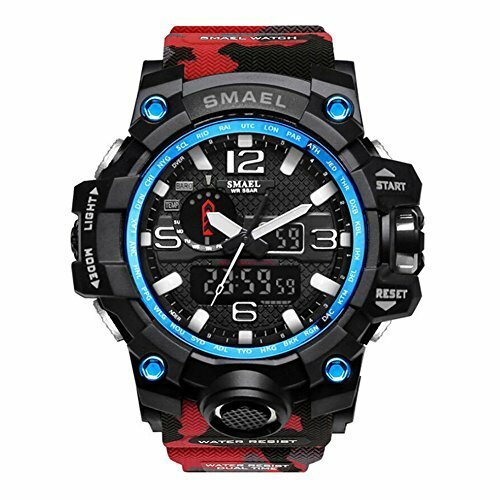 The SMAEL Men's Military Analog Digital Watch is available in 11 colors: red, gray, black, blue, gold, green, khaki, orange, silver, army green and sky blue. Priced at around $16 in Amazon, it also comes with gift box in case you are looking for a perfect gift for a special occasion. The Super Avenger Military is just one of the most water resistant military style watches. Out of all the watches on this list, it is the most reliable watch that functions up to 1,000 feet underwater. Found on its display are luminous markers and a well-defined crown for easy usage. A stainless steel body makes it highly durable. Sold on a limited edition, this timepiece has a 48-mm non-reflective case on a black dial that features a 24-hour military time display. The curved sapphire crystal above the dial has also been treated with a glare-resistant coating. Furthermore, its strap is made of synthetic fabric which military units commonly used for special operations. The heightened bezel rotates in one direction making it the perfect watch for diving. You really can’t argue why this is considered one of the best. Among others on this list, the Super Avenger Military is the only watch that runs on a self-winding mechanical movement. 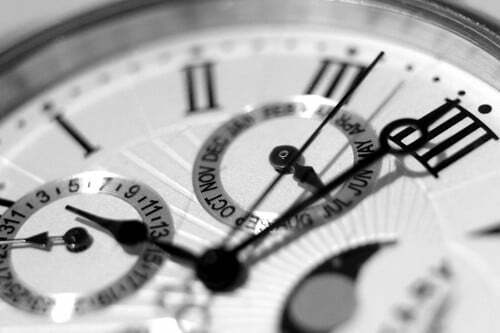 Mechanical movements are preferred for luxury watches because of the level of craftsmanship exerted on its mechanism. An intricate series of very little components that work hand in hand to support the timepiece is just one of the painstaking work done to finish a watch of this type. Its sweeping and smooth motion is just so satisfying to watch, compared to the individual ticks that quartz movement made. Although mechanical movement is the oldest type of watch movement to date, developments in technology have made it a more precise system. That’s when you know you got a great bang for your buck. This might just be the best watch in its category. Before we dive deep into the factors to consider when purchasing a military watch, a little backstory won’t hurt. It’s nice to learn a thing or two about your potential new watch. A military watch’s history can be traced back to the First World War. It is said that its name was coined because demand for a fighter positioned in a guard tower was made by German military. It was told that the German military wanted to know what time it was and asked the fighter. Unfortunately, the fighter’s hands were occupied and it was hard to take out his pocket watch. In another story, it was reported that Kaiser Wilhelm I, the King of Prussia and the first German Emperor, requested a watch at a Berlin public exhibition. The primary watches were then issued in the Boer War. You can find a page dedicated to just German watches here. Later on, the idea became popular so they started producing more of it at a faster rate, despite the World War happening. The first model was little and can be kept in the pocket. Its straps were made of fabric and a metal log held it. Some had a metal cover, while others had crystal stones. Some officers removed some parts of the cover for easy access to time watching and without opening the cover frequently. Eventually, military operations all over the world made it a necessity because of its importance. Here then comes the important question: what makes a good military watch? With the passing of time, here comes the evolution of designs. A lot of new editions and upgrades have been made [R]. Despite these changes, the main features are still existent. 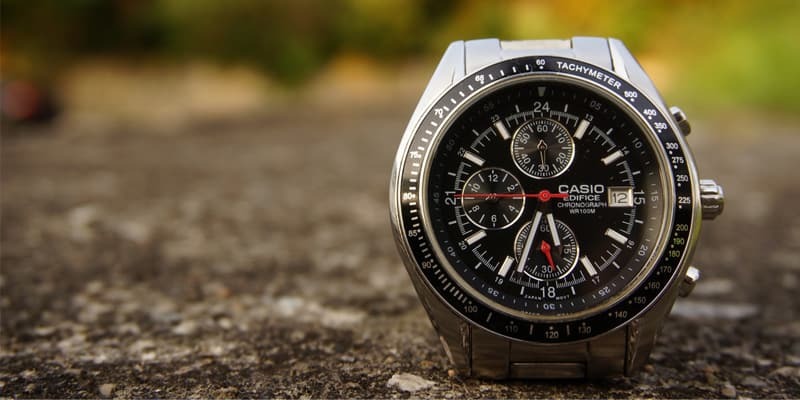 Most tactical watches are not big on style since its functionality is more important. A good field watch must still have a long band so it will be easier to wear over a jacket. Throughout military missions, officers work in total darkness which made light as an essential requirement for their operations. 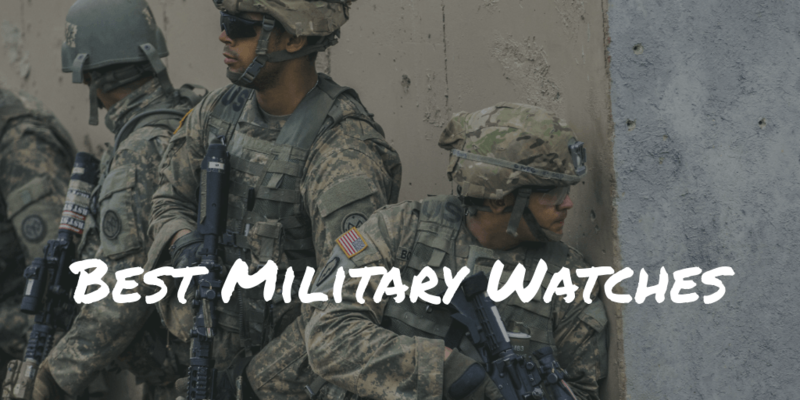 To address this problem, it became a necessity for a tactical military watch to have light. Originally, these watches were lit by a looming method using radium and zinc sulfide [R]. But, over the years, this changed to tritium (I wrote a separate round-up on tritium watches) and zinc sulfide because these have relatively less amount of radiation. Along with the rise of technology and health-conscious options, experiments were made using non-self-lamination technologies. This is used as an external light source made of photoluminescent materials. Manufacturers preferred using cases out of dull materials so they would not be attractive and less detectable on the soldier’s wrists. Using this type of materials would also make the military watch non-reflective. So, a non-shiny watch case with a metallic coating is a typical example of a military watch. These specifications can also make the watch less susceptible to environmental conditions. Thus, it can be unaffected by the ever-changing elements. Nowadays, thanks to the technological evolution, a tactical watch integrates a wide variety of useful functions. These include GPS tracking systems, altimeter, barometer, thermometer, daily alarms and more. Check out my triathlon watch reviews if you want to find more watches with advanced features such as GPS. Today, these watches are also used by law enforcement and the swiss army for instance. Doing extreme sports or rough outdoor activities can sometimes be a hassle. You need to bring certain gadgets that serve a specific purpose to guide or assist you - digital compass, stopwatch, GPS tracker, solar-powered, water resistance and a lot more paraphernalia. It’s almost always a handful. But, what if all of these functions can be rolled into one durable device? Fortunately for our sake, tactical watches exist. The best military watches make every hike, travel, training, or any extreme outdoor activity seem tolerable and hassle-free. With its features that are specifically made for the life outside, you can handle every activity well. Originally, a tactical watch was made specifically to meet the needs and demands of the military men, hence the name, which is to keep track of the time and date. As years passed by, consumer demands have changed which made way for numerous upgrades and developments. Nowadays, professionals of different fields prefer this type of watch because of the versatility and functionality it brings. Plus, the best ones can also look elegant and luxurious, above all. You’re not just paying for its features; you’re also paying for its unique design and appearance. Even if you don’t work in the military, if you have a strong admiration for adventure and just love the life of being active and physical, a good military timepiece will serve you right. With its convenient features and high-tech functions, you will be surprised to realize that a watch could be capable of so much more. Luckily for us, various military watch brands produce remarkable and high-quality timepieces so we’ll have a lot of options. You might want to prepare your wallets though, as they don’t always have very friendly price tags. However, with its capabilities and services, you get a great bang for your buck. Along with your potential military watch, your next adventure awaits you. Basically, the point here is that the best field watches focus more on functionality and durability. To claim your money’s worth, it is only fair to purchase one of the field watches available. To help you with your decision-making, there are a few considerations when choosing the right one for you. If a military watch is made of titanium and its straps are made of nylon or leather, that’s how you know it is durable. It also has to be shock resistant. It is a necessity for the best field watches to be resistant to elements and tremor. This means they're both shock resistant and water resistant AND scratch resistant. You need to make sure that your watch does not only last a long time but also performs remarkably as if it is fresh from the box. There are many types of power sources. The best ones considered are either solar- or kinetic-powered watches. However, for others that want to stick to tradition, automatic or mechanical powered sources are the best for their preference. There are six conventional types of power sources. You can find them as mechanical (hand-wound), automatic (self-winding), kinetic, solar-powered, precisionist, and quartz. Solar powered ones guarantee power at all times. This specific feature is required when you go hiking or hunting. You can also use it when you visit an area where there’s not much light, but you still need to keep track of time, else even the best watch would be useless in that kind of situation. A watch’s night vision is a pretty convenient feature because it makes the watch very useful literally at all times. Sometimes, one of the factors that push us to buy a new gadget is because we need it for a specific purpose or an upcoming event. Military watches are known to be jam-packed with various features. And this fact is the reason why many people admire these watches. If you’re a hiker or you just love to be in new and different places, a built-in GPS will come in handy. 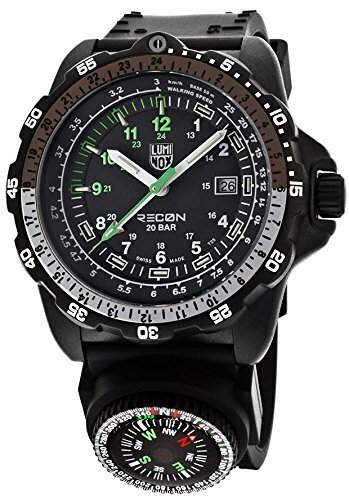 Some features of the best military tactical watches are altimeter, barometer, and storm alarm, among other things. 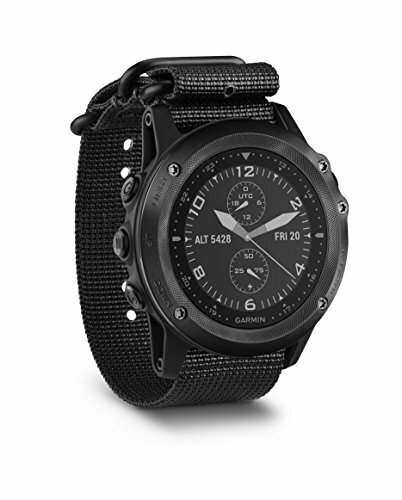 There are even quite a few rugged smartwatches that can be used for military and survival purpose. I really wouldn’t wonder why some may hurt your wallet. In my opinion, the overall most decent one is the Casio PAG240-1CR Pathfinder. As you go on a hike or start training, this watch stands strong as it is built to endure tough conditions. Packed with great functions (like the built-in altimeter, barometer, and thermometer), user-friendly design, and a price that won’t hurt your pocket, the Pathfinder is an easy choice. The Bearing Memory feature will ensure you a smooth and worry-free journey. Plus, you never have to worry about its battery draining in the middle of the day because it is solar-powered! We really can’t run from the fact that military watches make the most versatile timepieces. The best military watches may be a little too pricey, but the features and outstanding quality you get in return are priceless. If you still think they're too expensive, check out our list of automatic watches under 500. These watches are not only handy in times of hikes, training, and other heavy outdoor activities, but they can also be helpful in a typical and normal day. 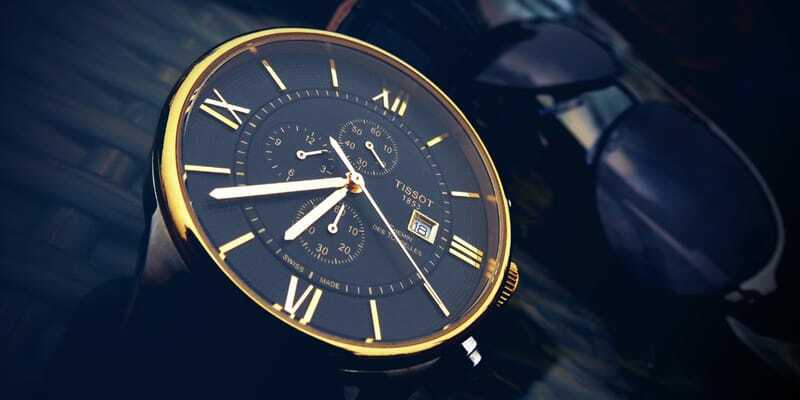 Investing in this type of timepiece is the right way to do!